Here's a quick look at the blurb, excerpt, and giveaway that are currently blitzing around the interwebs via Xpresso Book Tours. The end of the humanity and an unrecognizable future Earth are now days away. 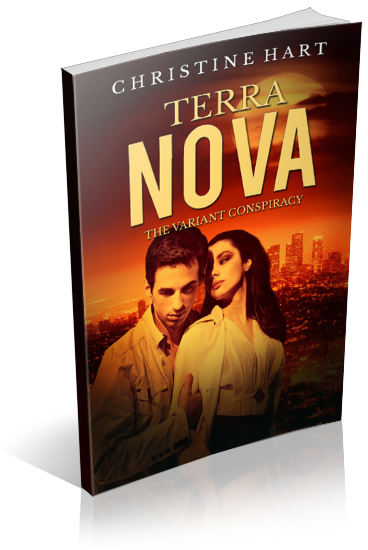 After their first glimpse of the Terra Nova virus, Irina and her variant friends know their former employer’s plans are almost at hand. Their failed attempt to publicize Ivan and Innoviro Industries’ horrific activities has left them utterly reliant on their own wits and weapons. I took an experimental sip. It tasted like vodka and sprite. There was a mildly synthetic aftertaste, but nothing toxic. I took another, much larger sip. There it was – the warmth I’d been craving since my shower. I might stand a chance of sleeping tonight after all. Jonah followed my lead and took a slurp on his straw, pausing to let the liquid do its work. He looked at me with a devilish grin and grabbed my hand, pulling me off to the dance floor. His touch radiated energy into me, right through my skin waking up every cell in my body.